Hello. We are Sunaina and Vineet Khanna, Owners and Centre Directors of Mathnasium of Mississauga, your neighbourhood math-only learning centre. We help kids in grades 2-12 understand math by teaching the way that makes sense to them. 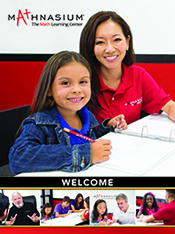 Mathnasium of Mississauga has been offering Math learning, tutoring and homework help – to Catch Up! Get Ahead! Stay Ahead! since 2012. Our expert math staff is passionate about helping kids in Mississauga, ON community to improve and excel in math through - year-round, summer and short term specialized programs. Our centre is located in Mississauga, ON, at the corner of Eglinton Avenue and Creditview Road. Catch Up! Get Ahead!! Stay Ahead!!! Everything we do, we believe in helping students challenge their status quo. We believe in helping them think differently and develop skills to become independent learners! And yes, we do teach Math! My kids are huge fans of Mathnasium. It has been the only after school activity that I don’t have to struggle to get them to. Mathnasium Mississauga has provided a learning environment that is nurturing and effective. In addition, the positive reinforcements like treats and prizes make them want to work harder. 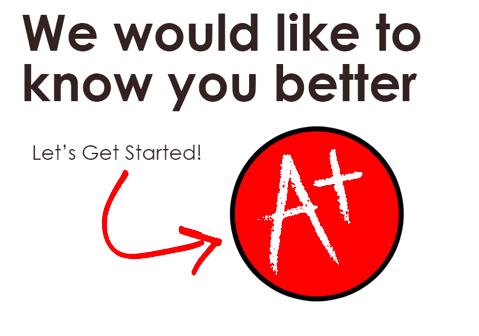 Very professional tutors.. very friendly environment ! My daughter had an amazing shift in her Math skills. She started with a very weak interest in studying Math, and just a few times later, her whole idea changed.We continued five months now, and my daughter is doing great in Math, loving it, passing her teats, and above all looking forward to her sessions at Mathnasium. My daughter is enjoying Mathnasium Misssissquga and I see a lot of improvement in her math skills and confidence. The staff are great and easy to talk to. The centre is very flexible if makeup sessions are needed. I would recommend Mathnasium Mississauga to others. My daughter has been going to Mathnasium more than a year now. She used to hate Math but now she is loving it… I have seen significant improvement in her Math skills and received positive remarks from her teacher. Thanks to Mathnasium for raising confident in my daughter to do math. The people at Mathnasium Roseborough Centre make all the difference – knowledgeable, honest and approachable. My kid enjoys the program a lot! Thank you Sorin for your encouraging words. We shall always endeavour to match your expectations to make difference in our students learning. My child really enjoys going to Mathnasium. All of the instructors are informative and patient. They provide excellent feedback to parents and are very positive qnd encouraging towards the students. I highly recommend this program to family and friends. My son used to afraid of math but now he loves math. I am very grateful to entire team and management team of Mathnasium. Great place for learning. Sunaina and Vineet are passionate about teaching Math and it shows. Our son’s grades improved both in Math and other subjects. Mathnasium works on many levels to improve children’s understanding of Math. It works on bridging any gaps so students can go into higher grades with a solid math base. Thank you. Keep up the good work. Timely feedback given always for kids work. They also are very accommodating whenever we have request for change of classes. Mathnasium tutors are always so friendly and patiently to clarify the doubts. Fear of maths has gone automatically. My daughter is passing Math tests after less than a month in Mathnasium!! The Eglinton and Creditview location has amazing teachers and staff. Very genuine and dedicated in making sure the kids are doing well and progressing. I know my son is in great hands! So far, the program has increased my son's confidence....he is on his way to huge improvements in his math grades. I have heard back from my child that she was taught several techniques that she was not told about in her school. She is doing better in Math, due to the amazing tutors at Mathnasium, Mississauga. We chose well and definitely encourage others to so. My daughter has been going to Mathnasium since the last month and I already see her enthusiasm increasing.I am very happy with the fact that she now tries to think of different ways to address mathematical situations. Sunaina and Vineet are also very accommodating where my schedules are concerned. My daughter got a great help. Her marks gotten better. The philosophy held by the Centre is future and forward thinking. The staff are friendly and it makes the learning in a relaxed setting. At the same time, they are not letting go of discipline. Mathnasium continues to be a great support for my daughter. Her confidence in Math has increased dramatically since she started in Grade 9. Vineet is fabulous! He has high expectations for his students and my daughter never wants to disappoint him! He is very flexible and always makes time when tests and quizzes pop up. My score is based on my daughter's study experience in the Centre. She is a high school student who has joined the learning for around nine months, and her positive progress was already reflected in her recent examination with a 90+ mark. There are two contributing factors that lead to the above significant improvement. My appreciation first goes to the Centre Director's full support and encouragement towards my daughter, which was demonstrated well in the progress review meetings. Along with this, the supervising staff and tutors provide precise instructions to help solve the math questions which in turn make my daughter feels much more comfortable in tackling the difficulties in solving the problems. I would recommend unreservedly to students who are now struggling with mathematics to try on the tutorial service from A+ Mathnasium. Looking forward to work together with the Centre to see next success to come. They're very professional and accommodating. Very pleased with the communication given regarding my daughters progress. Very aconodating. My child actually enjoys the sessions and claims that she learned many mental math tricks. My four kids have joined the program one year ago so far we have had a experience with the mathnasium program. I feel that my kids became more confident in math and are not struggling any more, I definitely recommend this program to everyone. Welcoming and easy going environment. The kids like going there because there is no stress and they have time to think - no pressure. My son has a better understanding of math. it has been a pleasure to bring my son to Mathnasium and see him improve on daily basis. Its the kind of place my son needs to keep his brain active and not go to sleep. My son enjoys the math program. He was always good at math and we put him here so that he can be challenged more than the regular school work. He has learnt many new things in the mathnasium program and we hope he will continue to develop his love for math. Ever since my kids started going to mathnasium we have seen a very positive change in our kids. They love math because of the way they learn from their amazing teachers. Mr.Vineet is amazing and we strongly believe that he is doing an awesome job. My daughter has been doing very well in Math since she started at Mathnasium last year. Vineet is very approachable and accommodating. He is genuinely interested in the students and their progress. We are very pleased with our experience at Mathnasium! Mathnasium of Mississauga has been an amazing experience for our daughter. She has gained confidence and made significant improvement. She actually "asks" to go instead of being "told" to go in for help. Vineet is always accommodating and highly flexible. THANK YOU! My son has made significant strides since starting at Mathnasium . The individualization of the program ,flexibility in scheduling and stress free environment all make for a great experience overall . My children enjoy going and learning and feel comfortable in the environment. They find everyone there very helpful and patient in teaching them. My daughter particularly feels more comfortable with Math and in a short time has shown a small improvement. It's a very professional operation with a focus on teaching children. If my daughter misses her session for a valid reason, and if you advise them ahead of time, Mathnesium is very flexible and considerate of make up sessions! Prompt response to queries and safe, friendly environment. I called mr. Vineet Khanna couple weeks ago and He find time to met Us the same day. The next day she was enrolled for 12 grade program which made her so happy. Thank You for the good service. She progresses well. My Son had never enjoy Math at school until he enrolled in Mathnasium ! Thank you for all the help! my daughter very very like it! My daughter enjoys going to mathnasium. She looks forward to working through her math problems with the teachers. Emily has been coming since last feb. and her experience has been great. Her confidence has improved since coming to you. They provide attention to each child's abilitys in math and make it grow stronger. Vineet always allows my children to come in for extra help even if it is not their scheduled day. As long as he has instructors available. That to me is very important. Vineet always takes into consideration what I want for my daughters and incorporates it with the system already in place at the centre. Vineet is always available to meet with me if I have any concerns. I have had many tutors for my children over the years and in my opinion Mathnasium is by far the best system for teaching my children math.